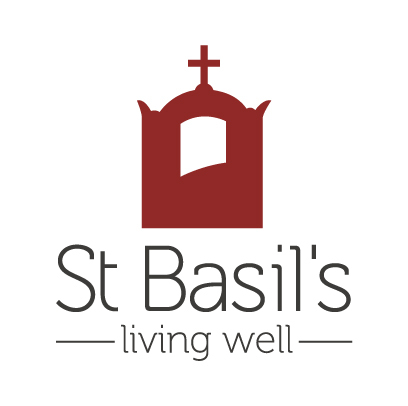 Being cared for at St Basil's means that you get to choose how you want to spend your day. For every waking hour, there is a Care Companion whose focus is to make sure that you are Living Well, the way that you want to. This Care Companion is responsible for up to seven residents, and is supported by Nursing staff who coordinate and attend to any clinical needs. The Care Companions provide more than the basic care and services specified in the Quality of Care Principles 1997; they work in close concert with the onsite Events Coordinator to identify activities and interests relevant to their specific residents. This means that days can be filled with either activities that are relevant and of interest to residents or equally, adapted to accommodate a need for rest. Meals from a seasonally changing menu are prepared fresh daily in the commercial kitchen with a choice of meals available to accommodate variety. The onsite laundry and maintenance services mean that other household duties run promptly and efficiently – scheduled but on call as well, meaning that all rooms and common areas remain of consistently high quality. St Basil's is leading the future of aged care in South Australia as it continues to develop contemporary and expertly serviced facilities that challenge perceptions and create new expectations for aged care. Across our three facilities, teams of experienced and attentive Carers; Lifestyle Coordinators that help to make each day suitably productive for each resident; and Registered Nurses on duty 24 hours a day, work together to ensure that our residents receive the care they need to live well at every age. Visit St Basil's - Croydon Park, St Peters or the Aegean Village at Christie Downs - and experience home with us.